Are Ouija Boards Dangerous? Public Poll Revealed – We put the question out there for the public to vote with either yes or no on if they think Ouija boards could bring danger into their life. in a nut shell the Ouija board has a bad stigma attached to the idea or method, and is possibly the best most feared superstition to date. 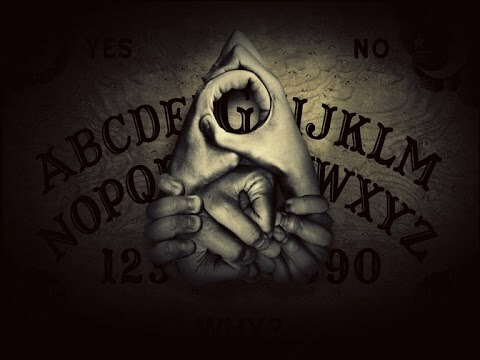 I predict the vote will end high, 75%+ in favour of yes due to mainstream TV Shows, and Films made about the Ouija board which gives it a bad name, which will play on peoples minds. and we have all heard tales of friends late at night playing the Ouija board, where some bad luck follows the next day. I think with this question people dont necessarily need to believe in ghosts to click yes, i think anyone who has a superstitious mind would vote yes. 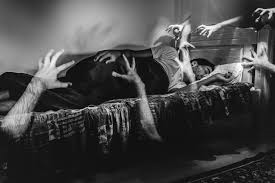 Alot of people in the paranormal field who investigate in it, would possibly vote no its not dangerous as they believe they can control the board or the spirits which are said to come through it. but they would say it could be dangerous if you dont know what you are doing. Of course we have the skeptics like myself also which would vote no, due to the facts that some will just fake the game, or maybe subconsciously move it without been aware they are doing it. so my predictions are 50% from the paranormal community will vote yes. and an extra 25% of those who are superstitious. so an overall score of 75%+ i am expecting. but i could be wrong!. A Question people tend not to answer out loud. just how many people have seen a ghost? or should i say think they have seen a ghost. people shrug off ghostly activities and say its this or something else. but is this a cover up to not admit the truth that they do indeed think that they have experienced something which they think could be a ghost? I think its natural not wanting to admit you have seen a ghost, when they are not scientifically proven to exist. the truth is people are scared to admit they have encountered something paranormal to them, because they will think everyone will laugh at them, or find them strange. Before this poll, i guessed the percentage would be high over 70% and i was very close to the target. Here is the LIVE Poll with over 500 votes. i think if we asked this question 20 years ago. it would be more 50 / 50. we now have alot of TV Shows with the wrong education on what is presented to the audience which will make people think towards they have seen a ghost. A very interesting POLL, it goes to show. you are not the only one who thinks they have seen a ghost. You ARE NOT ALONE. Another Fun statistic Coming soon.